My grandmother, my Italian Nonna, passed away a few weeks ago. 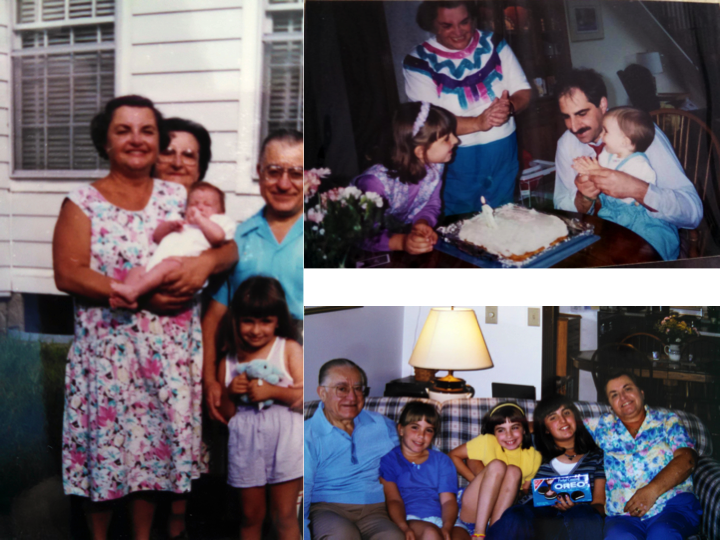 Nonna Joanne was a fount of confidence, faith, and joy. A meticulous organizer, my Nonna was the boss, the life of the party. Nothing mischievous could get past her. I’ll always remember her laugh, her voice on the phone as she always, without fail, told me how proud of me she was. Though we were only able to see my grandparents twice a year, my Nonna took full advantage of her visits with us. We would play cards together for hours. While she had me and my two sisters at the table, she would chat with us about our lives. The most important lesson she taught me was how to be assertive. There is a way to stand up for yourself without being aggressive or terribly passive. In those chats with her, I learned how to be proud of myself and how to never let anyone else’s mean behavior get in the way of my happiness. In our summer visits to Massachusetts, it was tradition for me, my sisters, and Nonna to make an ice cream sundae she affectionately titled “The Bomb.” We’d be watching television in the library after dinner, and then suddenly she would say “let’s make the bomb!” We knew exactly what she meant. Down we went to the kitchen, where we grabbed the necessary sweets for this scrumptious concoction. First, we had to have a fudgy brownie on the bottom. We usually used vanilla ice cream, but moose tracks was an extra special treat. Spoon hot fudge sauce on top of that, lather on the whipped cream, and then top off the sundae with a maraschino cherry or a “truffle” as my Nonna called it. In this picture it looks like we put an Oreo on top! Though my Nonna is no longer with us in body, she is most definitely with us in spirit. She lives on in my heart as a woman who celebrated life and all of its infinite joys. 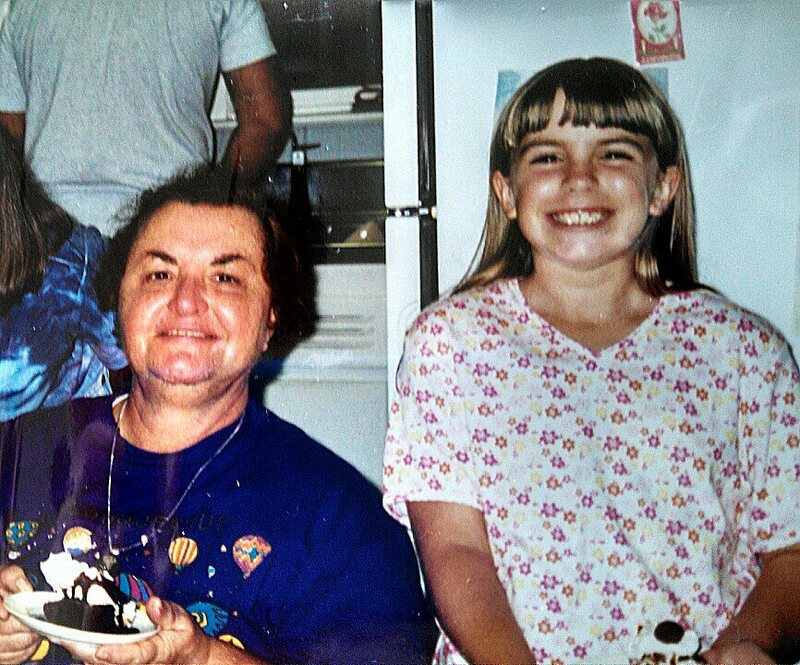 Ice cream sundaes were one of those little joys she wished to share with her granddaughters. I made “The Bomb” ice cream sundae yesterday in tribute to her. The sundae may seem simplistic to some, but for me the process of making it fills me with the sweetest of memories. 1. Make one batch of brownies. You can use your own recipe. If you use a brownie mix, buy Ghirardelli. You will not be sorry. 2. Take one brownie (as big as you want), and place in a bowl. 3. 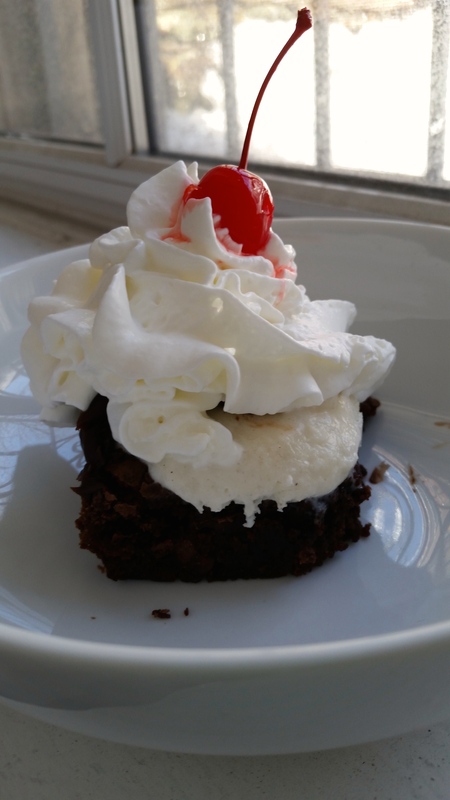 Top the brownie with one scoop of vanilla ice cream. 4. Warm hot fudge in the microwave per the package’s instructions. If you make your own, even better! 5. Pour the desired amount of hot fudge on top of the ice cream and brownie. 6. Add your desired amount of whipped cream on top. The sundae is simple, and simple is best in this case. Everyone’s sundae will come out differently, and that’s the point. Making “The Bomb” sundae allowed my sisters and I to celebrate our uniqueness. Who knew making ice cream sundaes could be so profound?